Update: Zerto Managers that are paired need to be within one major release of each other. 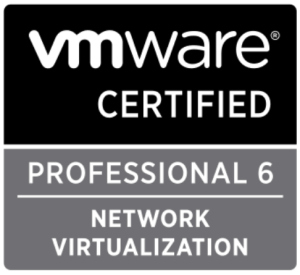 So if you have a ZVM on 5.0 any ZVM paired with it will have to be at least 4.5 and no higher than 5.5. Encrypted vMotion — Zerto Supported. Secure Boot — NO Zerto Supported. VM Encryption — NO Zerto Supported. If you upgrade one site to 5.5 whilst the other site(s) are on 5.0, it’s a must to upgrade the 5.0 sites to 5.5 before 6.0 upgrade. Paired sites always need to be +/-one version of each other. ■ Clear the Microsoft Internet Explorer cache of temporary Internet files. Not clearing the cache of temporary files can result in problems when accessing the Zerto Virtual Manager. ■ Make sure that all VPGs are in the state Protecting, and not in a sync state, such as Delta Sync, or in an error state, such as Needs Configuration. ■ Complete any recovery operation before starting the upgrade. ■ Stop the Zerto Virtual Manager service. ■ Create a backup of the machine where the Zerto Virtual Manager runs, which you will use if the upgrade fails. Zerto recommends taking a snapshot of the machine after stopping the Zerto Virtual Manager service. Note: The snapshot should only be used to rollback to the pre-upgrade state immediately after the upgrade has completed. The snapshot should not be used after the protection of virtual machines has restarted. The installation procedure checks for an existing installation that is either one version lower than the new version or is the same version. 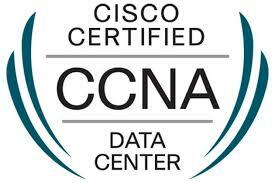 If an installation is found you can upgrade the installation. The existing Virtual Replication Appliances and protected virtual machines, together with all other information, such as checkpoints, journals, sites, and pairing details, are retained and are available in the upgraded installation. The upgrade is performed without disrupting the protection, but no new checkpoints are written to the journal during the actual upgrade. 1. 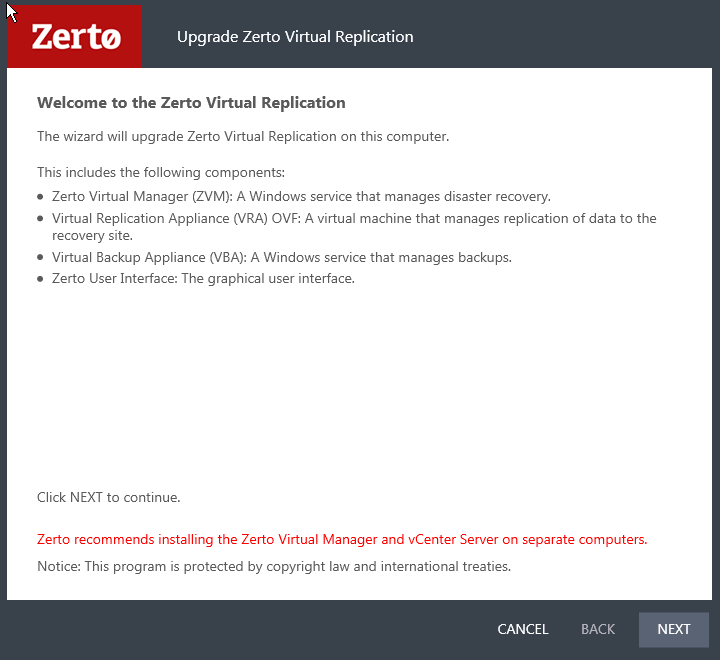 Run the Zerto Virtual Replication installation executable. 2. Click NEXT to continue. 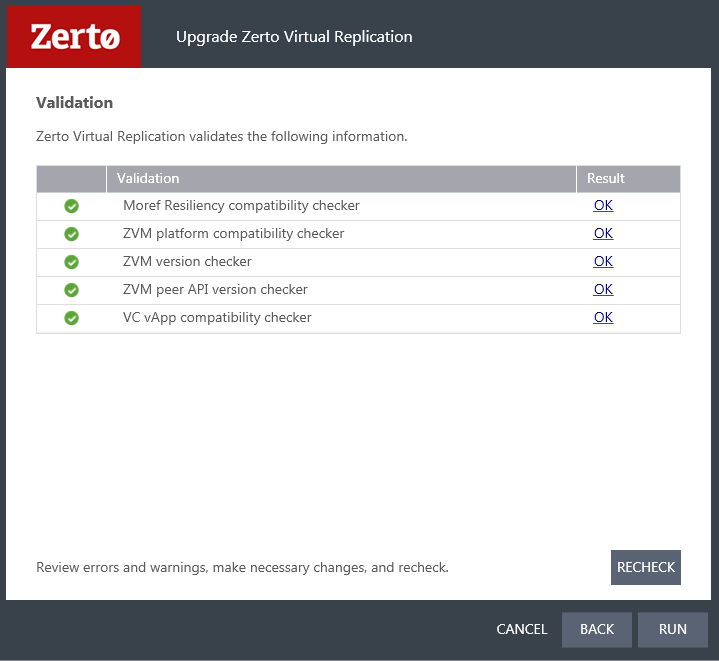 Zerto Virtual Replication validates that your system meets the upgrade requirements. 3. Select the checkbox to accept the license agreement, and click NEXT to continue. The VRAs Upgrade window is displayed. 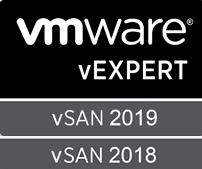 The Auto-Upgrade Virtual Replication Appliances checkbox is selected by default, meaning that all the VRAs will be automatically upgraded once the upgrade completes successfully. ■ Optionally, deselect the checkbox if you want to manually upgrade VRAs after the version upgrade completes. ■ The version upgrade proceeds automatically, displaying a Validation box followed by an Upgrade progress box. ■ The Upgrade Complete window is displayed, with the checkbox Open the Zerto Virtual Manager interface already selected. 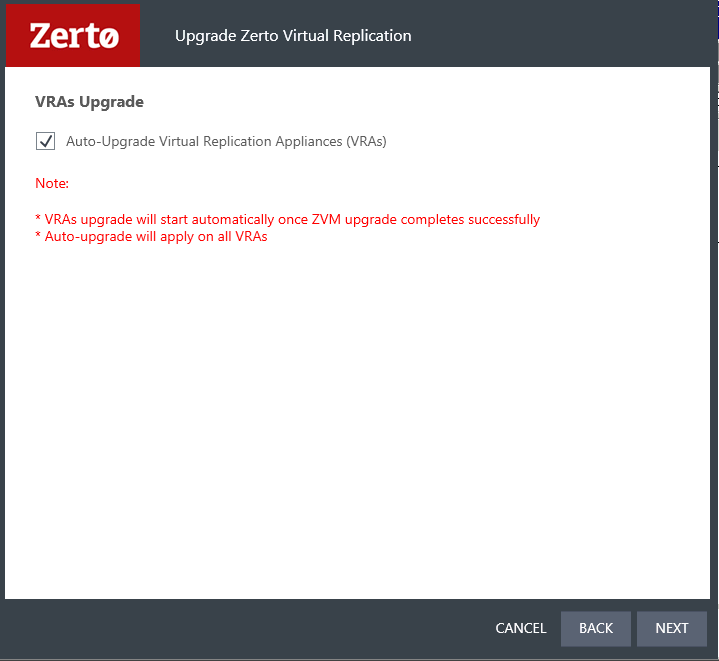 ■ It is highly recommended that you track the VRA upgrade via the Zerto Virtual Manager interface. However, deselect the checkbox if you do not want to track the VRA upgrade progress. 5. Click DONE to close the wizard.